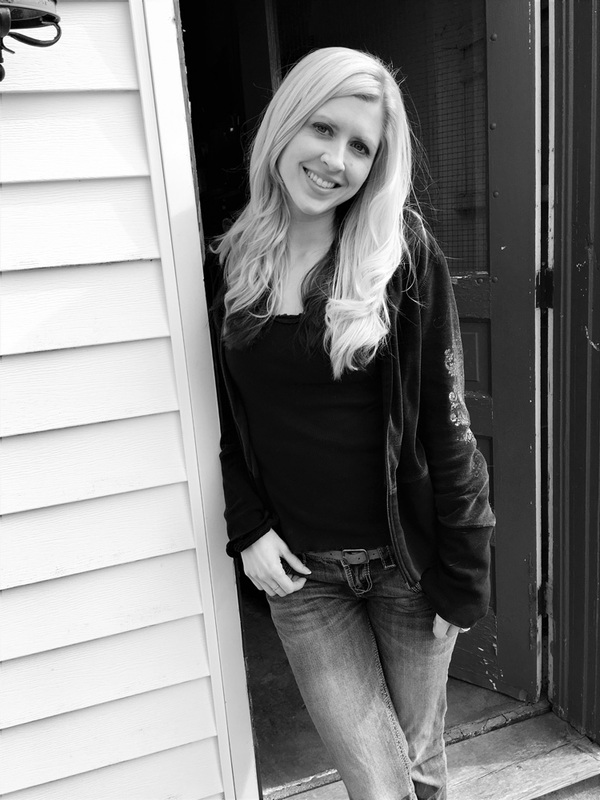 Amie Irene Winters is the author of Strange Luck, a fantasy series about a girl named Daisy and a secret realm that built on stolen memories. BELINDA: You’ve just released the second book in your Strange Luck series, The Nightmare Birds, tell us a little about the heroine, Daisy. AMIE: Daisy is one strong and cynical chick, but she also has a kind heart. She possesses the unique ability to create and destroy worlds, but that’s not all. There’s a dark reason why she is able to do these things, and only when she accepts who she really is will she be able to defeat the Order of The Nightmare Birds. BELINDA: I love the Theatre of Secrets. What inspired it? AMIE: Thank you! It was a lot of fun to write about the mysterious Theater of Secrets. I’ve always loved the concept of the supernatural creeping into the real world, especially stories with dark magic and unseen monsters (I’m a big H.P. Lovecraft fan). A mythic circus operating beneath a bustling city seemed like the perfect setting to invite strange and peculiar things. BELINDA: Tell us a little about the Nameless. AMIE: The Nameless in a beautiful and dangerous world built using stolen memories. The memories are collected by a dark entity who is in search of the perfect memory. All of its residents, called Collectives, were lured there using a variety of tactics. Vain people can be lured with a map to the Fountain of Youth. People who love space or exploration might be lured under the pretense that the map is a wormhole to another galaxy. Daisy fell into the Nameless’ trap in search of immortality in hopes of saving her ailing father. The terrain and everything in the world are based upon other people’s memories, so you’ll find everything from famous wizards in fairytales to talking stuffed animals all looking to escape while retaining their memories before they are stolen. BELINDA: What’s your worldbuilding process like? AMIE: After coming up with a general idea for a world/other realm, I look at how it got to be that way. This really helps to fill in the backstory and develop a richer history of the world’s existence. Then, I work in all of the good and bad things in the world which can be used to help and hinder the characters. The rest I leave up to free flowing. I try not to plan things too tightly so that they may change, develop, and grow. I might go into writing with a specific idea about the world and as I’m writing think of something that works much better. BELINDA: What sort of things do other authors in their worldbuilding that bug you? AMIE: I think creativity and originality is most important, then planning the logistics. I think a lot of authors do this backwards and spend all of their time planning magical rules and scenarios, but not focusing on the imagination/fantasy part of it. I honestly get bored reading a book that’s all rules and no imagination. BELINDA: What books do you think are examples of great worldbuilding? AMIE: Harry Potter and The Neverending Story are my favorites. When you feel like you are completely and totally there, the author has succeeded in immersing you in the world they’ve created—in a world you don’t want to leave. BELINDA: How many more installments are there in the Strange Luck series? AMIE: There will be four books total, including a prequel. 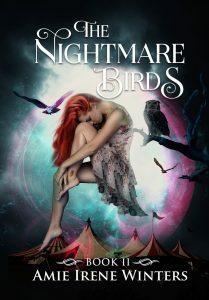 My newest book, The Nightmare Birds, is the second book in the series. I’m currently working on Book III. BELINDA: Can you give us any hints about what’s to come? AIME: There will be lots more dark magic and strange things creeping into the light. Stay tuned for details. As an environmental conservationist, Amie Irene Winters has had a lot of unique experiences—from participating in archaeological digs and camping solo in the Rocky Mountains, to writing grants and designing natural history museum exhibits—but writing fiction has always been her passion. She’s the award-winning author of the Strange Luck series. Originally from California, Amie has lived in every region of the U.S., and currently resides in a small town in western Pennsylvania. She loves hiking, traveling, baking desserts, and spontaneous adventures. You can connect with Amie via her website, blog, Facebook, Twitter and Pinterest and buy her books from Amazon, Barnes & Noble, Books-A-Million, Book Depository and Kobo. Image courtesy of Crisco Photography (via Flickr) used under a Creative Commons license.